Unlike other dual-cure composites, BulkEZ is compatible with all bonding agents. Bond strengths of BulkEZ and a competitive dual-cure composite on dentine, using a popular total-etch bonding agent. BulkEZ exhibits fully compatible bonding results, while the competition exhibits marginal bonding. BulkEZ contains both nano-fillers and highly radiopaque fillers. 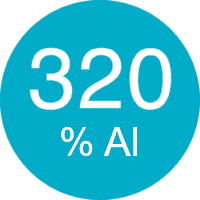 The material starts as a flowable and once fully cured, will have similar physical properties as traditional light cure composites with a high radiopacity of 320% Al – making it easily visible on a radiograph. 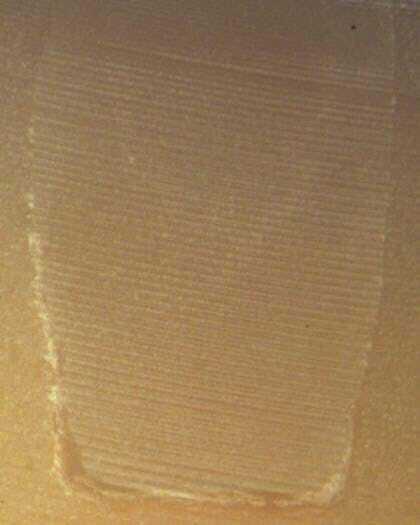 Illustration of self-cure and light-cure shrinkage behavior. 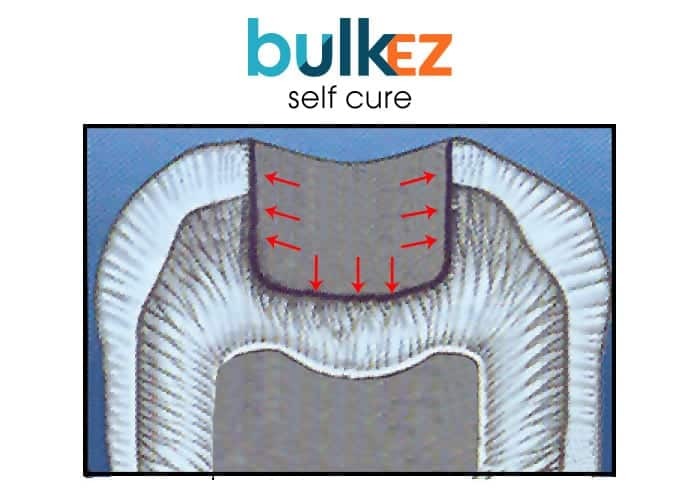 BulkEZ self-cure: exhibits shrinkage towards the bottom and side walls. 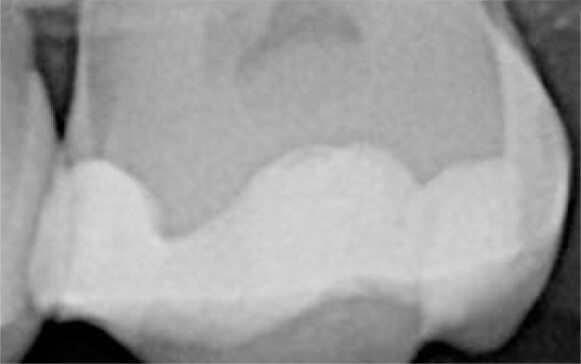 A competitive bulk-fill composite at 7mm depth, with visible voids and gaps at the bottom. 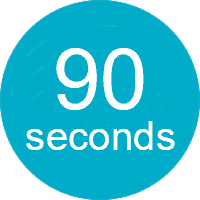 Why use anything else to risk compromising your restorations? 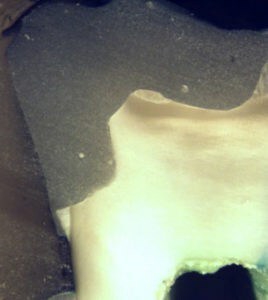 Bulk-fill composites were filled and cured in composite cavities. 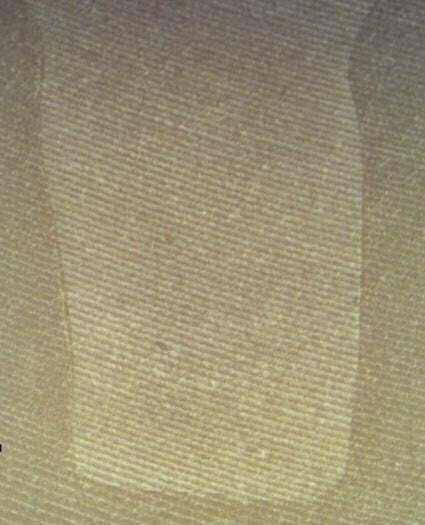 BulkEZ at 7mm depth, with bottoms completely intact. 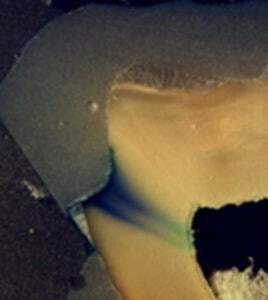 Microleakage results of Class II restorations after 5,000 thermal cycles between 5/50 °C and dye penetration. BulkEZ: Best interproximal margins, no microleakage along the interproximal margins. A competitive light curing bulk-fill composite: gaps and microleakage along the interproximal margins. 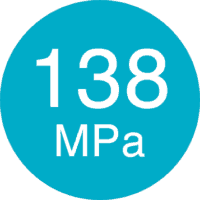 Best interproximal margin, no microleakage, reduces shrinkage stress and post-op sensitivity.